The Samsung Galaxy S9 and the S9+ are truly amazing devices. The best case for your Samsung Galaxy S9 should be something which shows the true majesty of the device. It should also be strong and sturdy enough to provide good protection against any possible accidents. Thus, in order to help you figure out the right case for your phone, we have gathered a list of the five best Samsung Galaxy S9 cases that you can buy online. We’re a bit biased towards this one! 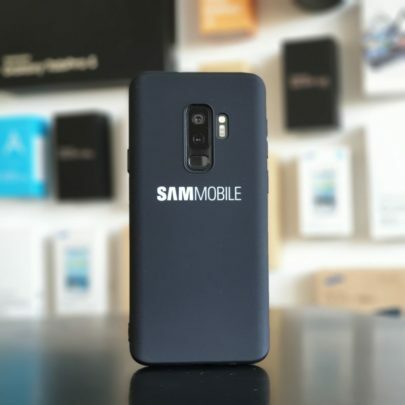 SamMobile offers a free case to its premium members. The case is available in black with a nice matte finish. Our entire team uses it on their Samsung phones and absolutely loves it. It’s a heavy duty case that will protect your device from dust and scratches. Oh, and did we mention, it’s free for our premium members! Let’s kick things off with the Clear View cover from Samsung. It is available in a large variety of colors. What’s more is that the case with its premium build also lends well to protecting your precious S9 thanks to the back, front and side coverage that it provides. While it may not be the most heavy-duty case in the world, it does guard your screen and keeps your phone’s back nice and scratch-free. The front cover can also quickly transform into a handy media viewing stand making it ideal for watching movies hands-free anytime. Where this case really excels, however, is with its smart functionality. The semi-transparent view through the front cover will allow you to quickly see the time, date and any incoming notifications that you might have. This is arguably OtterBox’s most popular case series to date, the Symmetry Case. Comprising of two fused layers, the Symmetry series represents all of OtterBox’s famed qualities but in a much slimmer package. With all the military-grade drop protection you could wish for the Symmetry series is sure to keep your S9 looking good for as long as possible. The raised lip also helps guard your screen against drops on flat surfaces. So even though it doesn’t feature a built-in protector, it will still help keep your precious Infinity display looking crystal clear. The overall look may not win any awards but the simplistic nature will appeal to many. I also really like the smooth incline on the camera port opening as this makes using the relocated fingerprint scanner extremely convenient. 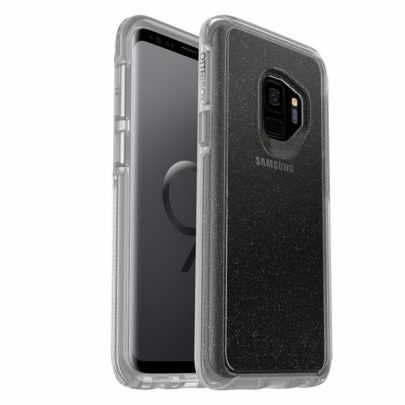 With all the branding and top-notch build quality that you’ve come to expect from OtterBox, the Symmetry Series for the Samsung Galaxy S9 still represents a top pick for any owner looking for rugged protection for their device without adding much heft to it. Up next we’ll be taking a look at the ExoShield clear case from Olixir. A simplistic option that ticks all the boxes. 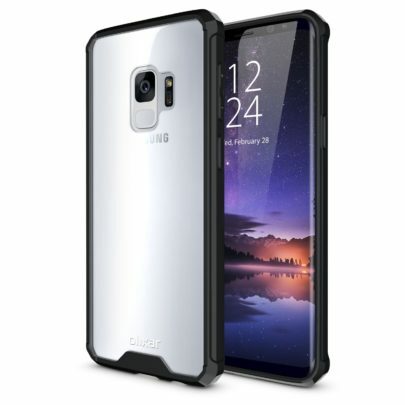 Olixar’s ExoShield Case delivers exceptional clear protection that’s ideal for those looking to safeguard their S9 while at the same time preserve its stunning good looks. The great thing about the ExoShield is that all this protection doesn’t come at a cost. With the case still feeling extremely sleek and slim in hand, it is also aided by the non-slip coating that adds extra grip meaning that you’ll be able to keep hold of your brand-new S9. We move back to Samsung now with our fourth pick in this lineup which comes in the form of their official Alcantara Cover. Again, available in an impressive array of color options, the Alcantara offers a premium look and feel for your S9 that you just won’t get anywhere else. The Alcantara finish runs throughout the case for an incredibly smooth finish that’s great to hold. This sleek styling is broken up neatly with the use of subtle color. There is also some very nice subtle Samsung branding which helps to break up the strong Alcantara finish. 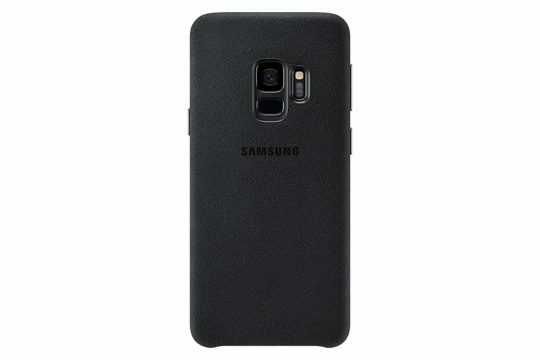 This finish also runs into the inside of the case, providing some nice soft cushioning for the back of your phone so that it can avoid getting scratched easily. 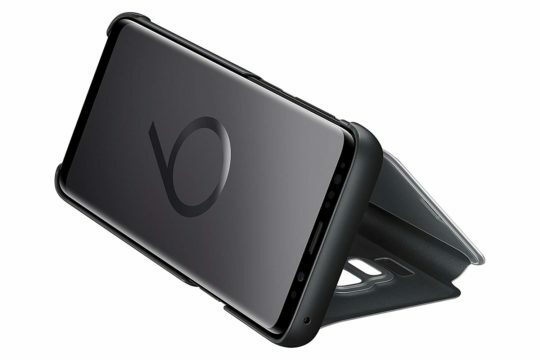 This case doesn’t have any other features like some of the official cases in Samsung’s lineup do, however, it does what it’s supposed to do; providing a really sleek overall look that enhances the S9. We finish up now with the Sentinel case from Olixar. Representing excellent value, this Sentinel comes packed in a stylish case with an easy-to-apply glass screen protector that ensures total all-around protection for your Galaxy S9. What’s great about this combo is that by purchasing the Sentinel, you instantly take the hassle and headache out of trying to find a reliable screen protector that’s also compatible with your favorite case. 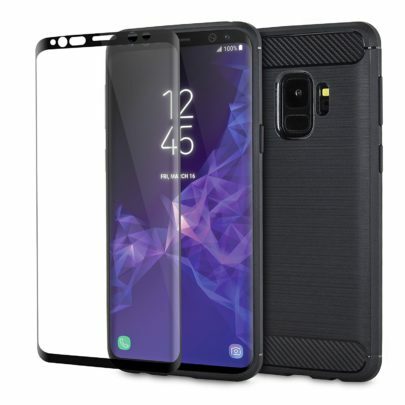 The screen protector’s case compatibility allows you to fully protect your Samsung Galaxy S9 while keeping it looking great at the same time. The Sentinel case itself features a really slim and sleek build that looks fantastic. The carbon fiber borders at the top and bottom contrast beautifully with a sleek matte finish that runs throughout. Overall the Sentinel makes for a top option that will protect your S9 perfectly. Best cases are from Spigen. This article is paid ? I think it is not matte. I can see structure on it. I have the Pitaka case, thin as possible, lighter, pretty and the most stronger case I ever had. It´s really impressive. Cost money, but worth it. Nice enough cases but missing a number of much better ones from Spigen and others. Btw, I got the Olixar Sentinel including the screen protector with my Note9, the case is good, the screen protector is total rubbish. I’d advise getting the Whitestone Dome screen protector and use it with the case. Don’t use the Olixar screen protector. It’s clicky in the middle and even with touch sensitivity increased it doesn’t register touches very well. Alcantara is just a beautiful case and nothing else. Protection zero. And it collects tons of dust and very soon it looks dirty. Washable, yes, but I find myself cleaning it all the time.